Two years ago I made the extremely exciting decision to build my online business. I wanted what we all want: to quit my day job, leverage my income, to work from anywhere, to be able to work flexibly around my children, all the things that are attractive to this vocation. I got caught up in the whole “All you need is a laptop and an internet connection and you can make money online” thing and started an online course about how to build my online business. The very first thing you learn from the plethora of people vying to teach you how to launch your 6 and 7-figure business is some variance of ‘the world needs that thing that only you can offer’, ‘just be your authentic self' and, ‘if I can do it so can you’. Feeling Stuck? 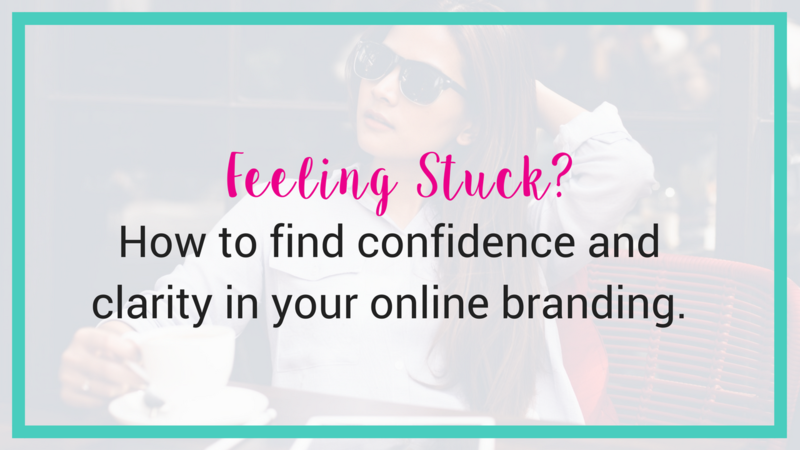 How to gain confidence and clarity in your online brand. SHOCK. THE ONLINE BUSINESS COURSE YOU DID DIDN'T HELP YOU LAUNCH YOUR ONLINE BUSINESS INTO THE STRATOSPHERE! So you’ve done an online course about building a business, and it turns out it’s freaking way bigger, way more challenging and way more expensive with more moving parts than (a) you could have dreamed of and (b) ‘they’ first lead you to believe when you made that *huge* step and purchased the $2K course!